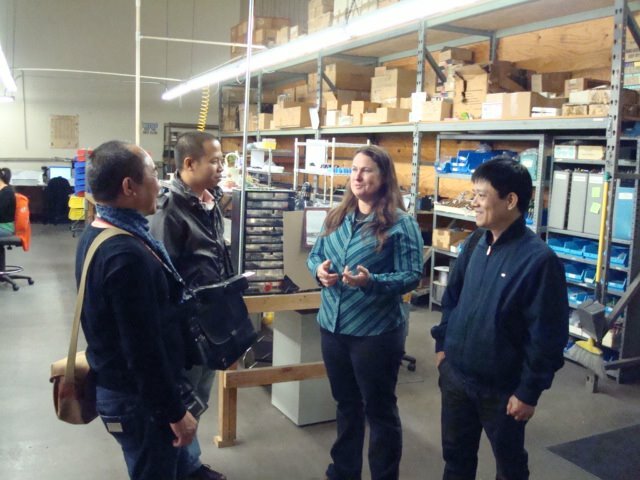 EveAnna giving a tour to members of the Vietnamese HiFi Press. EveAnna and Larry Janus, of Tube Equipment Corporation, checking out the Tube Equipment Corp. prototype Vacuum Tube Curve Tracer and analysis system, during the 2011 NY AES convention. EveAnna and Larry Janus, of Tube Equipment Corporation, at the 2011 NY AES convention. Mike Harris, EveAnna Dauray Manley, Larry Janus and Terry Manning, at the 2011 NY AES convention. Write about EveAnna Dauray Manley! Do you have content or pictures, to add, of EveAnna Dauray Manley? Do you just want to say "Hello!"? Please feel free to Share it, here!